Posted on May 4, 2013 by Eric Bonnici wrote in Burgers, East Windsor Restaurants, Seafood, Steakhouse. It has 0 Comment. The Willistead Restaurant and Bar in historic old Walkerville tantalizes taste buds with creative culinary creations made with fresh local ingredients. The concept the Dimoglou brothers, Chef David and Chef Tim, live by is to prepare fresh, creative, tasty meals with ingredients that come straight from Farm-to-Table. 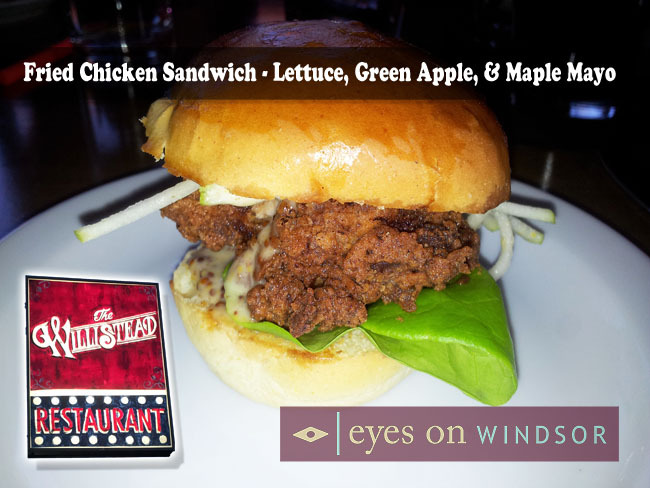 So the Willistead Restaurant has formed close relationships with the wineries and farmers of Ontario, mostly close by in Essex County, bringing the freshest ingredients in house partly explaining why their home made food is bursting with flavour. The creative twists that these highly experienced chefs incorporate into each meal is another reason the food is scrumptious. The menu changes regularly, daily often, because of the use of fresh in season ingredients straight from the farm. So the a la carte menu is a simple sheet of paper printed daily to reflect the emphasis on building a menu based on the seasonal ingredients available. This is part of The Willistead’s charm and uniqueness. Of course there’s more too! The staff are happy and friendly. In fact, they take great pride in the restaurant, even going as far as to being invited to contribute their ideas into everything from decor to menu ideas. Now the decor is rich and comfortable featuring a long marble bar and comfortable leather seating. Yes comfortable! Now that’s not something you’ll find in many restaurants. A beautiful picture frame collage adorns the wall featuring the restaurants name with a phrase written in Greek below (proudly showing the ethnic background of the chefs who are first generation Canadians). What does this Greek phrase translate into. We are told loosely it means quality over quantity. This is definitely reflected in the food’s flavours and presentation. The philosophy at The Willistead is simple… Stay local. Be friendly. Make it tasty. 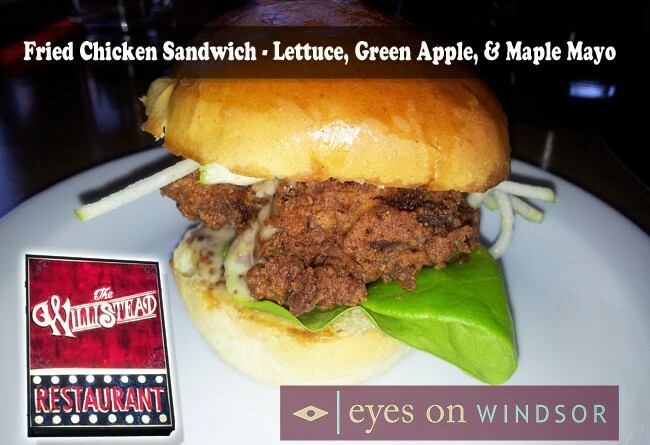 So be sure to stop in at the Willistead Restaurant and Bar located in Windsor’s Old Walkerville soon.